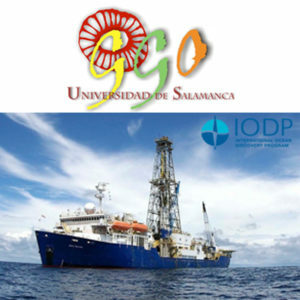 The Group of Oceanic Geosciences (GGO) from University of Salamanca is a consolidated research group within the Department of Geology, Faculty of Sciences. It was awarded in 2005 as a Group of Excellence in Castilla y León and subsequently as a Consolidated Research Unit in 2015. It is composed by researchers, whose work relies on climate change studies through the analysis of oceanic cores and sections using micropaleontological and biogeochemical techniques. Specialization in this field has led these scientists to collaborate with other national and international institutions, to complete the complex spectrum required in Paleoceanographic studies. During the past five years the group has focused on the paleoclimatic and paleoceanographic study of the Mediterranean and North Atlantic for the last 100 000 years, and similar studies were carried out in South Atlantic and Southern Ocean. Collaboration with the Ocean Drilling Program allowed some of the researchers of this group to participate in several scientific cruises (legs: 138, 177, 202 and 306) and to study a large number of cores retrieved in the N Atlantic, Mediterranean and Pacific. Concerning the Paleoceanography from the Neogene, we may highlight high resolution studies of ciclostratigraphy and biostratigraphy corresponding to upper Miocene, together with the development of an astronomical scale based on the study of sediments from the Mediterranean basin, focusing on the comparison of these models with present-day or upper Quaternary. The research group has a broad experience in the study of planktonic and benthic foraminifera, as well as coccolithophores, other calcareous nannofossils, diatoms and radiolarians. Analyses of Oxigen and Carbon stable isotopes in the skeletons of foraminifera and the measurement of the calcification degree of cocoliths are widely used.